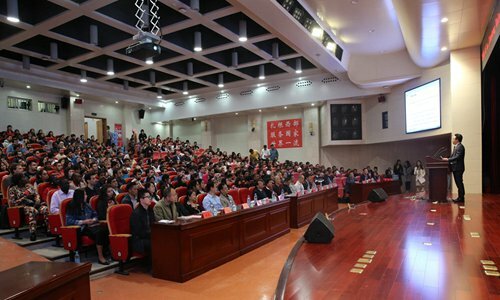 The 2018 Opening Ceremony for International Students was held at the Multi-functional Academic Conference Hall in the Main Building in Xingqing Campus, Xi'an Jiaotong University on October 11. A total of 662 international freshmen from 88 countries and regions participated in the ceremony. The University's vice president Xi Guang and deputies from related departments attended the ceremony to welcome new international students. Professor Shan Wenhua, dean of the School of International Education, hosted the ceremony. Based on the Universities Alliance of the Silk Road initiated by XJTU in 2015, there are more and more international students from countries along the Silk Road studying at XJTU. In 2018, 2,700 international students studied in XJTU in a variety of disciplines, including medical science, management and engineering. 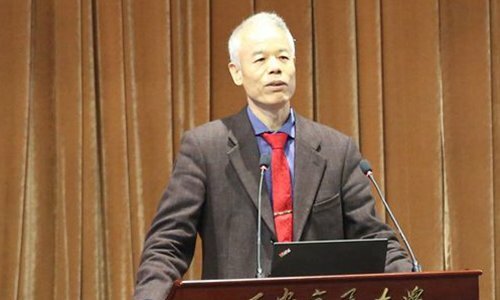 Professor Xi Guang gave the keynote speech, in which he briefly introduced both Xi'an and Xi'an Jiaotong University. 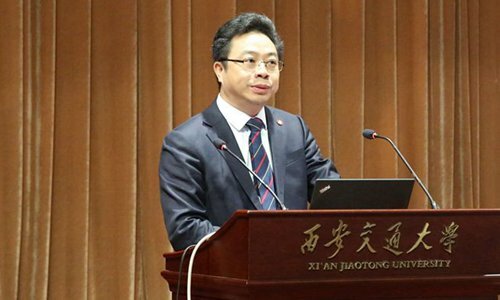 He also conveyed his best wishes to all international students, and hoped they fulfilled their dreams in Xi'an Jiaotong University to be well versed in the Chinese language, an expert of academic knowledge and a messenger for various cultures. 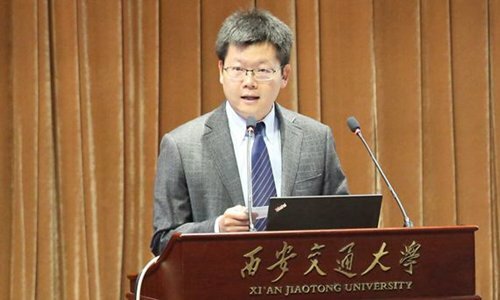 Professor Long Jiangang, vice dean of the Graduate School, also gave a welcome speech. He was followed by speeches from Professor Lv Shemin, dean of the School of Basic Medical Sciences; Professor Sun Zhongguo, assistant Dean of School of Energy and Power Engineering; and French Professor Marie-Jean Thoraval, from the School of Aerospace. 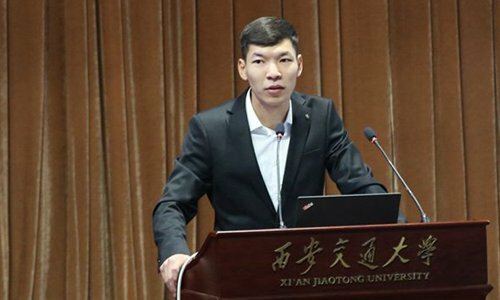 They highlighted the development of innovations and breakthroughs of Xi'an Jiaotong University in recent years in fields of postgraduate education, education in medical science, innovation harbor construction, construction of preponderant principles, and internationalization. 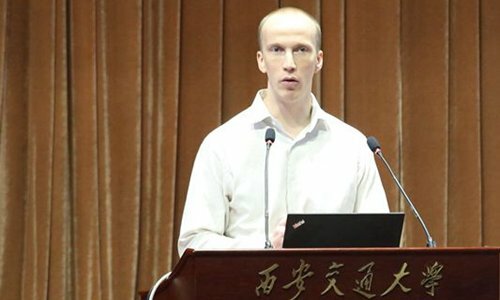 International students are expected to make full use of the excellent resources at the university, to improve their professional achievements as well as to better understand Chinese culture and society. 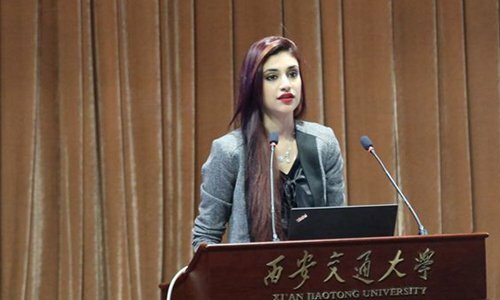 As the representatives for students, Pakistani student Tahir Elena and Kazakhstani student Leskhanuly Temirlan expressed their gratitude to Xi'an Jiaotong University for the chance to study in China. On behalf of all international students, they would cherish the opportunity to study harder and promised to become the goodwill messengers of friendship to other countries. Professor Shan Wenhua, dean of the School of International Education, encouraged students to make the world a better one through keeping a curiosity towards the sciences, studying hard, making friends with students from other countries, and growing into young ambassadors and represent their diverse culture. 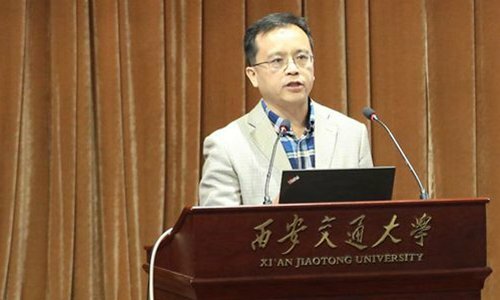 Finally, Professor Wen Guangrui, vice dean of the School of International Education, briefly described the structure of international education in Xi'an Jiaotong University. 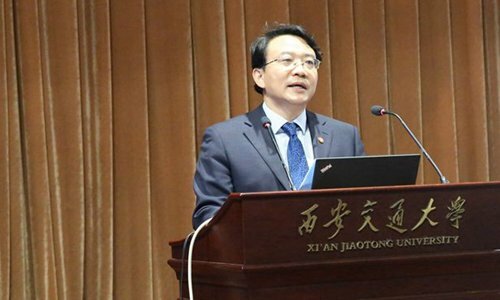 Administrative regulations on international students were introduced by Zhang Hua, assistant dean of the School of International Education, and police officers from the Division of Exit-Entry Administration of Xi'an Municipal Public Security Bureau.